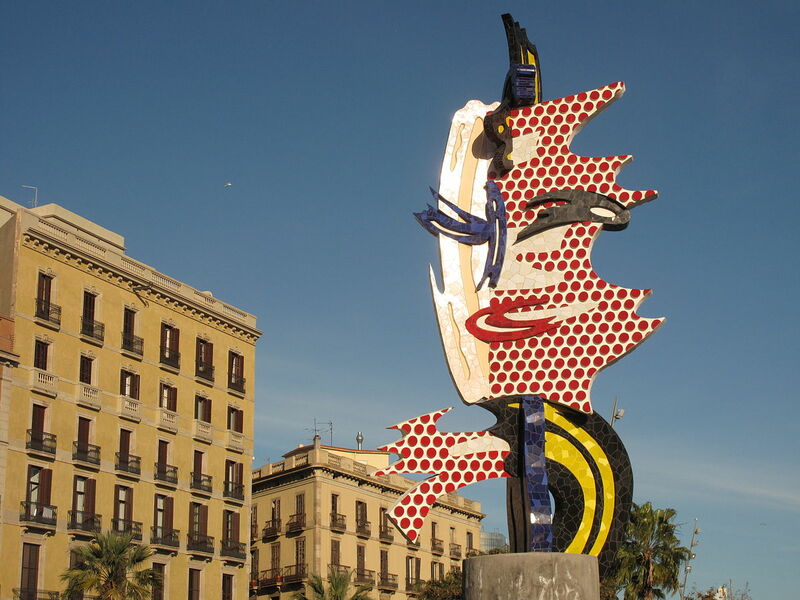 American Pop art meets the Barcelona streets with Roy Lichtenstein’s El Cap de Barcelona. Courtesy of Wikimedia Commons. Can the arts be a stimulus for democracy? The question may seem strange because, in principle, there does not seem to be a relationship between the arts and democracy. What do theater, dance, cinema, and painting have to do with democracy? Or rather, what do these artistic manifestations have to do with politics? The short answer: They have a lot to do with each other, and the relationship can have very positive effects. How? The arts revolve around emotions. Democracy, on the other hand, corresponds to politics that, in a strict sense, should be grounded in rational decision-making. But the separation of rational decisions and emotions is not so simple. At their best, art and politics are not about manipulating feelings to produce political effects, but about activating emotions to “move” people to feel part of a community. Democracy is based on popular sovereignty and the idea that citizenship requires effective channels to participate in the processes of political decision-making. Political debates alone do not produce much desire for people to feel a form of being “called” to action. But politics can do more than call; politics can excite, so that the called person feels a part of that community where he or she is going to make contributions and to define political decisions that transform a concrete reality. Participation in democracy is often identified with voting, either to elect representatives or to make a decision in a referendum. Voting is the icon of democracy and it seems that democracy is reduced to that liturgical event. However, we must recognize that there is another dimension of the democratic system that does not consist only in voting. Moreover, I dare say that voting is the least important aspect of democracy (and perhaps even an unnecessary one—but that is another story). I am talking about the deliberative or dialogical dimension of democracy, in which the important thing is the debate, the contrast of arguments, the sharing of different opinions to build proposals or make contributions to certain public actions that affect the whole of the citizenship. To facilitate this type of action, the arts, particularly the performing arts (theater, dance, cinema, circus), are profoundly useful to the democratic journey. What we need is to foster a relationship of the arts to democracy in a purer, more human sense. Here in Barcelona, ​​where I am the city’s commissioner of citizen participation, we have lived the experience of seeing citizen participation rise from the production of small plays, filming a documentary, organizing photographic exhibitions, dancing (as a means of transmitting emotions), and reading poems. Mural paintings have been used to collectively express feelings or ideas about improvement in neighborhoods or the city as a whole. In late 2015 and early 2016, we supported a process of participation that combined performing arts with debates on different themes to help develop our city legislature’s Municipal Action Program for the next four years. The combination of these actions—participation and the arts—can have a lot of impact in the places where they occur and on the people who are part of them. And that can foster a greater degree of collective involvement. This is the phenomenon of “communitarization”, of feeling part of the group, of joining forces with something greater than one’s own friends and family. It’s important to be clear: The use of the arts to promote citizen participation should not be confused with the actions of some political lobbies that play to emotions and stimulate cognitive frameworks in order to provoke reactions favorable to their own interests. Day by day, cities are plagued by efforts of this type. What we need, instead, is to foster a relationship of the arts to democracy in a purer, more human sense. This is about recognizing the spiritual slope of every person, his or her emotional layers, which may be more or less active, more or less asleep. Once the existence of this spiritual layer is recognized, and activated in a positive way, it can favor creativity in the search for solutions to community problems. It is true that on many occasions, citizens often face these artistic manifestations in a democracy in a passive way, and let the “artists” take the lead in moving, or not moving, emotions. I don’t wish to take anything away from such passive use of the arts, but it’s important to say that citizens can be active subjects in performing theater or dance, or making a painting, just as they can be active agents in their own governance. who, washing their hands of it, avoid and evade. I curse the poetry of those who will not take sides to avoid soiling themselves. The qualities that Celaya attributed to poetry in this text, I think, are attributable to all arts in general. They are manifestations of the spirit that should not appear as neutral (in reality, they never are). Instead, they should be that higher if muddled spirit that emerges from the mud of life to favor the involvement of people in collective processes and actions. To take part in Celaya’s sense of poetry does not mean to make a flag of any concrete political option, but to keep our eyes open on everything that affects people, especially that which produces suffering, and which generates injustice and inequality. To take sides is to recognize that we live in an unequal society and that, for a decent coexistence to be attained, we must take sides for justice, equality and democracy. Certainly art, such as written or spoken language itself, may serve to make precious love poems, or to stimulate the most terrible and inhuman actions. But let us also reflect on the human and humanizing potential that it can exert in political decision-making processes. And in strengthening democracy. Fernando Pindado Sánchez is Commissioner of Democracy and Active Participation for the Barcelona City Council. This essay was translated from the Spanish by Reed Johnson.